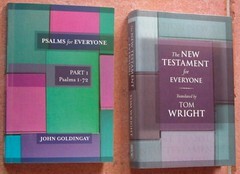 The Series ´Old Testament for Everyone` is designed to complete N. T. Wright's ´New Testament for Everyone` commentary series. Genesis I & II / Exodus & Leviticus / Numbers & Deuteronomy / Joshua, Judges, Ruth / 1 & 2 Kings / 1 & 2 Samuel / 1 & 2 Chronicles / Ezra, Nehemiah and Esther / Job. 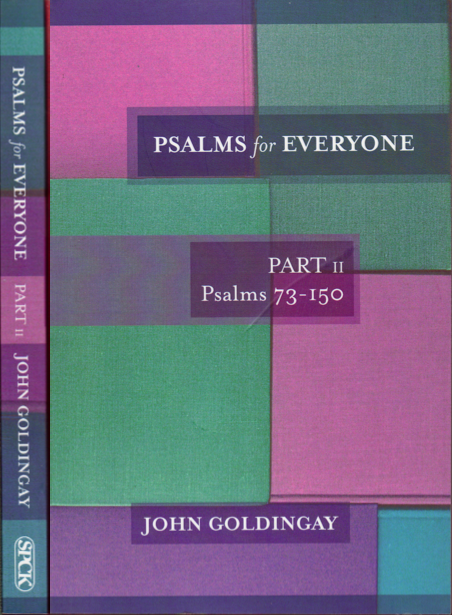 One may hope that, as has been done with the NT, an OT one-volume translation-only-edition will be presented as soon as the series has been completed. 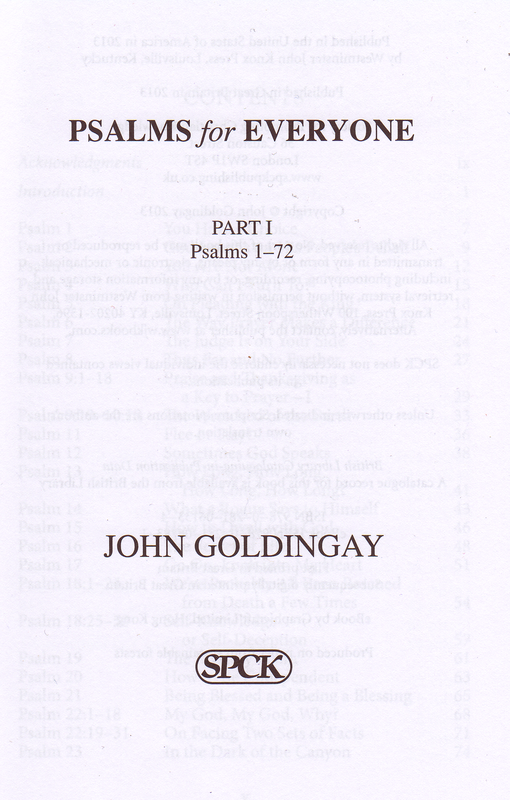 Contents: Psalms 1–72. Acknowledgements, Introduction, Glossary. 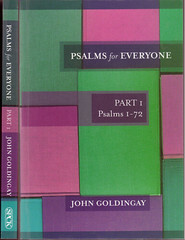 Description: Paperback, octavo, adhesive binding, X & 236 pp. 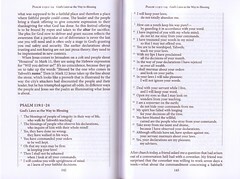 Comments: Chapter and verse- numberings are set, headings are translated. The commentaries are framed in stories and a pleasure to read. 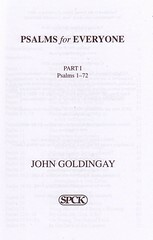 Allusions to the New Testament are frequent. 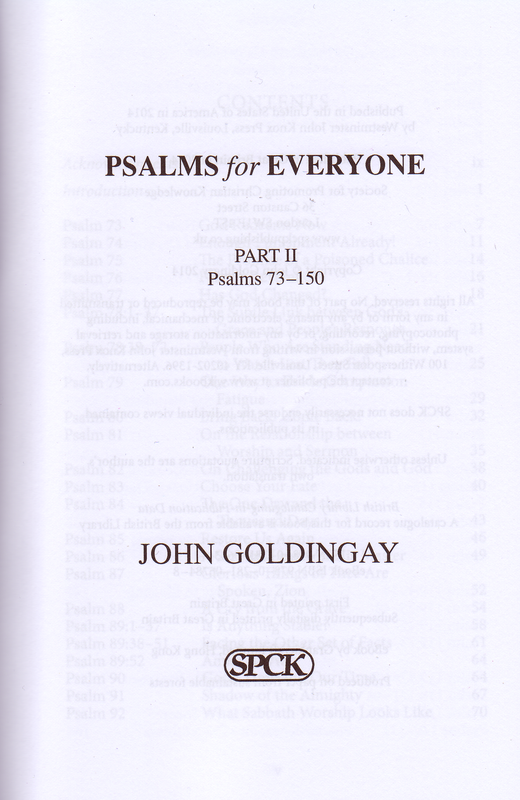 Contents: Psalms 73–150. Acknowledgements, Introduction, Glossary. 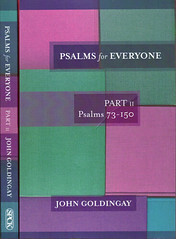 Description: Paperback, octavo, adhesive binding, X, 238 & (4) pp. 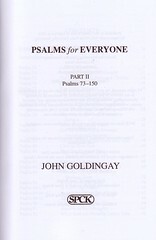 Comments: Chapter and verse- numberings are set, headings are translated. 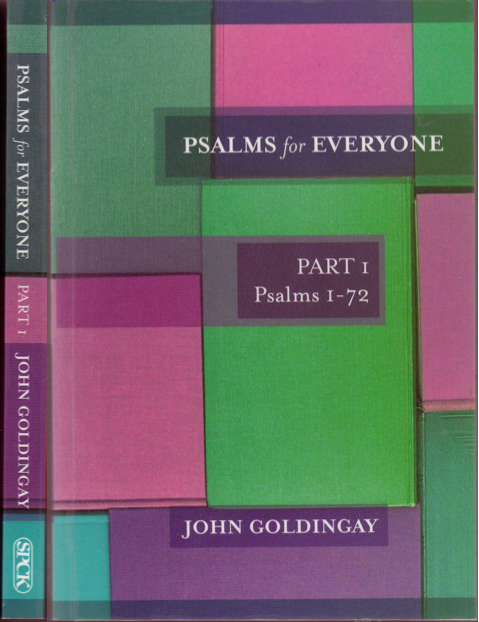 The commentaries are framed in stories and help building up Christian life. Allusions to the New Testament are frequent.